Family movie night was a blast for us as we took in “Percy Jackson: Sea of Monsters”. This is a follow-up to “Percy Jackson, The Lightning Thief”. It’s an exciting and magical adventure with loads of eye-popping graphics. It’s a fun watch with the kids, with lots of action and emotion - especially for the early teens who read the books, exciting tales of friendships, family, sacrifice, magic, and Greek mythology. My family and I loved this movie! Disclosure: All opinions are my own. 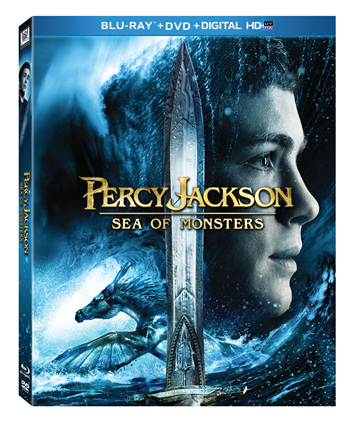 I received Percy Jackson: Sea of Monsters on blu-ray/DVD at no cost for the purpose of this review. No other compensation was received.